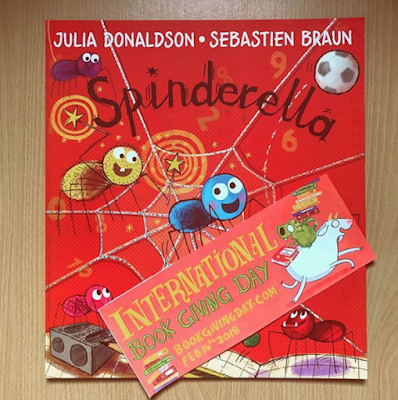 As well as Valentines Day today it has also been International Book Giving Day. With Lily and I loving books so much it was definetly something that we had to get involved in. 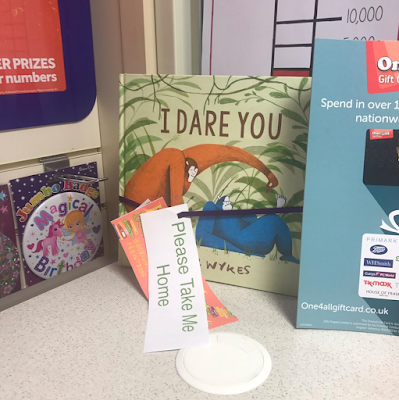 I really love promoting books on the blog and I love spreading the word about how important reading to your children is and how they should own many books. It really makes me sad to think that there are some children out there that don't own many books and so Book Giving Day is the perfect day to spread the love for books by making sure that at least one more child gets a new book. I started the day by firstly giving my Lily a new book. I am constantly getting her new books and we read each night, so how could I not get her a new book on book giving day. 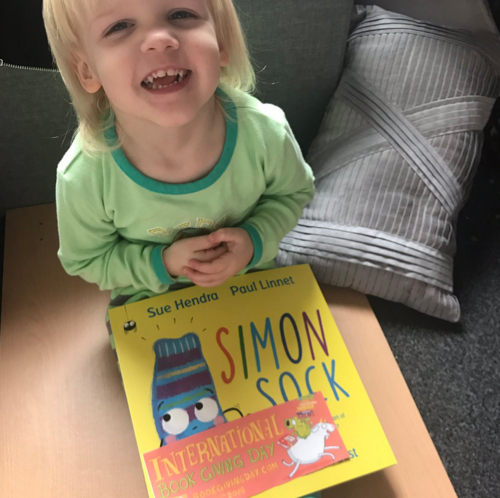 I got her Simon Sock by Sue Hendra and she was delighted. She made me read it to her twice as soon as I gave it to her and we really enjoyed the book. Another great one for the Sue Hendra collection. After this I got our books ready that we were going to be giving out. 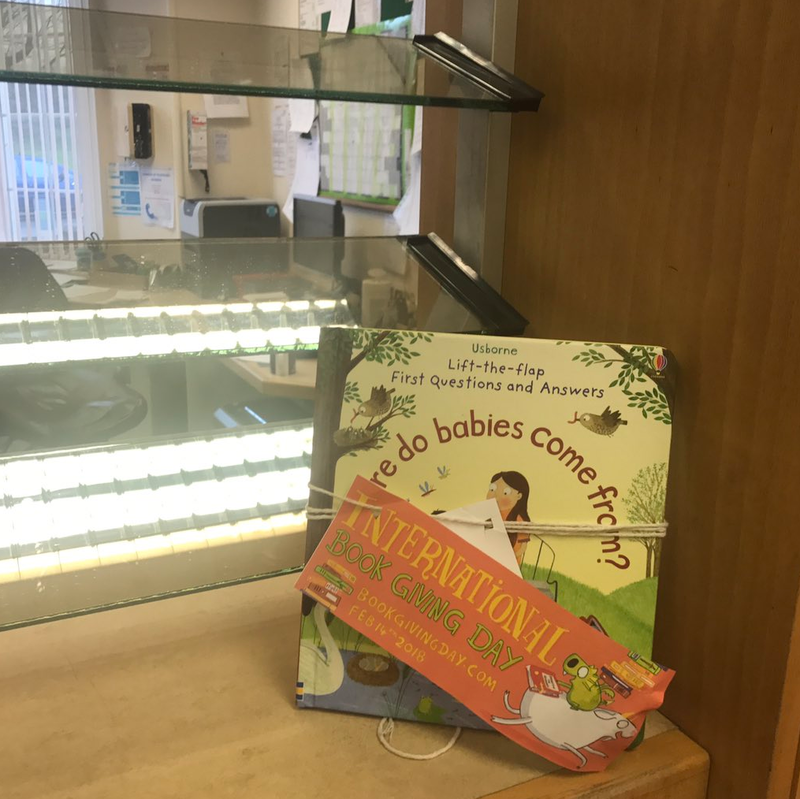 I tied some string and some ribbon around them and placed the International Book giving Day leaflet onto it along with a Lily's Little Learners business card so they knew where it came from. I also printed out a little sign that said "Please take me home" on one of them so then when a child found it, they knew they could take it home. Todays weather has been horrible. It has been a mixture between rain and snow and blowing a gale at the same time. So we waited until we got a break in the rain and headed straight out to deliver the books. We nearly got blown away but we made it to our first destination where we were going to leave a book for a child to find. It was way to wet to leave outdoors so I asked the local post office if we could leave it in there and they said yes. We then walked around the corner to the doctors where we handed over a book that they could leave in their waiting room. They were delighted to receive a book and thought that Book Giving Day was a lovely idea. It's always really nice to put a smile on someones face and the receptionist was really happy with our donation. We did plan to head into town to leave a few more books around but it just wasn't fair to drag Lily too far in the horrible weather today so we left it at the 2 books we have given. But our giving away of books doesn't end there. I have one book to giveaway to a lucky winner. Over on my Instagram you could win a Julia Donaldson book. Head there now and get entering! It ends friday so there is plenty of time to get your entry in. Good luck! Did you do anything for Book giving Day? What an amazing thing to do, I’ve never thought of that before. Or even heard of it. I've never actually heard of book giving day before, although I have no idea how that has bypassed me! We love to read! Such a great idea to give a book to someone, this would certainly make them feel so special when they find it. I'd never heard of this before. What a great idea. I had no idea Valentine's Day was national book giving day too! Vexed I missed out on this one! 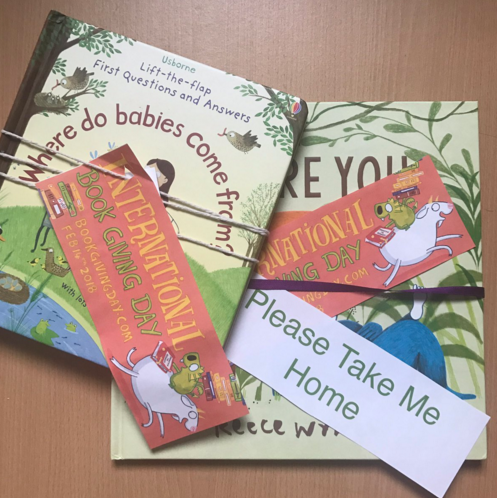 I didn't even know it was international book giving day! I would much rather celebrate that over valentines day!